Miami has become a “WRECKREATIONAL” diving destination that is destined to become another “Miami Vice” for visitors and residents. With it’s close proximity to the Bahamas and the Gulf Steam, Miami enjoys beatiful diving conditions year round. With water temperatures from 70′ to 85′ and visibility often better than 75′, it remains a mystery why Miami has not been exploited like many othe dive destinations. Thanks to an aggressive artificial reef program, Miami Beach has over 75 divable wrecks just within minutes from our Diving Center. This awesome reef lays just South of the Fowey Lighthouse and has a nice drop off behind it. This dive is usually conducted as a drift dive. A reef featuring various car frames that provide burrows for spiny lobsters. This is one of RJ’s hidden lobster grounds…. Before the dumping laws where strictly enforced some old wreckage from a cuban freighter was dropped on this reef. The wreckage is now completely coral encrusted and offers a haven for spiny lobsters. This is a interesting dive, you not only get to visit a wreck but you will be on one of Miami’s beautiful reefs. Darrel’s ledge is a high profile reef that has two sections. The first section is high profile and the are many different types of coral. The reef then drops off to 40 feet where there are large schools of reef fish for your viewing pleasure. Deep Trench was cut through the reef line to allow an out haul pipe to discharge waste during the 20’s. Not in use anymore, it’s a great place for night diving. The bottom is 48′ deep with the trench dropping down to 60′. It’s about 15-20′ wide, with lots of tropical’s, eels, lobster and an occasional shark. Runs east and west. One of the best reef sites that not many know about. Emerald reef is probably Miami’s largest natural reef and has many large rocks for interesting critters to hide out in. Also a popular spot for lobsters, especially early in the season. We have seen almost anything that is found in the Atlantic on this reef at one time or another. Great close up photography with some macro opportunities. Remember, our reefs are fragile, be careful to only drop an anchor in sand up current from any reef. Flamingo reef is a beauiful reef with many schooling tropical fish. There is also standing Elk Horn coral that resembles the shape of a flamingo. Graceland reef is a section of plate reef that broke and dropped about 4 to 5′ creating an interesting ledge with small caverns underneath (too small for penetration). Located in 18 to 22′ of water, this is a relaxing second dive. Some of the most beautiful tropical fish live here, including some that we don’t see at any other site, like Copper Sweepers. Your likely to find Nurse sharks sleeping under some of the ledges, so bring a light! This site is several hundred yards long, there is a lot to see for the casual diver. This is Divemaster Jakes’ Rumble on the Beach/Jungle dive. It is a low profile reef dive feature schooling tropical fish, lobsters and more! A low profile reef with large sand areas with a variety of aquatic delight and many lobsters and shells for the taking! This is Captain Mike Beach’s dive site. It is a low profile reef with large schoolong tropical fish, lobsters and the occasional nurse shark! This reef is south of Key Biscayne and it is truly a breath taking reef! It is high profile and has many swim thoughs and thosands of tropical fish everywhere. Keep an eye out for sharks and moray eels! A low profile shelf reef system located in North Miami 10 minutes North of Haulover Inlet. Another one of our secret reefs that is a have for lobster, grouper and many tropical fish. Spearfishing trips can be organized to this location. This is a great reef for the beginner diver. It is located south of Patty’s reef and it is another excellent dive. It is a medium in profile but it has tropical fish, hard and soft corals everywhere. Miami is home to dozens of beautiful natural reefs. With our close proximity to the gulf steam, we get a constant supply of warm clear blue water from the south. 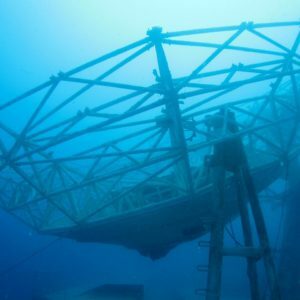 With our artificial reef program, there are many more sites made from scrap concrete that is molded into tetrahedron shapes to form artificial reefs for marine life. There are old concrete pipes, trenches and many more interesting sites that make homes for fish such as Grouper, Snapper, Eels, Lobster, Jewfish, Cobia, Southern Rays and hundreds of varieties of tropical fish. You will be amazed at how much marine life you will see on any dive here with Miami’s skyline in the background. There is also plenty of Macro Photo opportunities on the reefs to bring your camera and close up kit. This is one of our training locations. There is a sandy grove that sperates two low profile reef systems. This is an excellent playground for the beginner diver and offers much to see. This is another one of RJ’s lobstering spots. There are many ledges to swim under and to hopefully fill your lobster bags full of spiny lobster durning Mini-season. Rock pile artificial reef is a rock covered out haul pipe built, I’d guess, in the 20’s. In 30′ of water with 15′ of relief, this site has a huge variety of tropical fish in residence. We could almost call this our shark dive. It seems we always find a number of nurse sharks sleeping in the crevasses. A no-brainer for navigation, the Rock pile runs east and west, it’s pretty hard to get lost. (yeah, right). South Deep Trench at about 60′ is real interesting, in that, there are huge amount of tropical’s all over the place. We were evaluating it for a commercial site, but decided, while it’s superb, it’s not large enough to put anyone but students on. Apparently an old dredge cut, it has weathered nicely and looks almost natural. There is a huge green moray living in it. Suger Bear is one of our long time favorite reefs. it is medium in profile and has a variety of corals and sponges . There are also thousands of schooling fish everywhere! One of our secret spots between Haulover Inlet and Goverment Cut, The Fish Hole is loaded with many species of fish including grouper, snapper, hogfish, eels, lobster (sounds like a seafood restaurant) It’s relatively shallow depth makes this location a great second dive. The Pillars reef site at 35′ is a good place for training dives. An old pipeline is partially buried and a large structure with 2 large steel I-beams is sitting next to it. Some other unidentifiable objects remind me of the Bimini Road. If you’re a spear fisherman, this is a good place for hogfish. The Fish Hole is actually a creater in North Miami that no one knows how it was formed. Over the years some of the ledges have collapsed. The top of the hole sits at 36 feet. As you enter into the fish hole and swim though a wall of fish you will find the bottom at 52 feet. On this site you find thousands of tropical fish, moray eels, sharks and lobsters. A large concrete pipe that runs about 75′ on top of sand and patch reef located in North Miami Beach. Giant green morays and lobsters are almost always found at this site. Just recently we saw a guitar fish at this site, not that common to this area. Two 40-ton Vietnam era combat army tanks placed August, 1994 in about 50′ of water. The ultimate two tank dive is part of a shallow artificial reef site refered to as the Wreck Trek. The Mathew Lawrence wreck sits close enough to the tanks that you can see both on the same dive. There is a huge limestone boulder wall between the tanks for effect and for homes to hundreds of little critters. Fish, lobster and a moray eels call these 40 ton objects home, while barracudas hover like alien space craft above the gun turrets. Located at the east and west ends of a large crescent shaped area of huge limestone boulders. Plans call for an additional 8 tanks to be placed at the site in the next few years. This is an excellent site for marine life, because it affords many places to hide, especially for lobster. This site is now tied in with the Wreck Trek site. This 185′ steel barge was sunk in November 1985 in the Key Biscayne area. The belcher barge was loaded with concrete pipes to add to the exploration of the dive but during the sinking process, she turned and landed completely upside down and the pipes rolled off to the South Side of the barge. The relief (height of wreck from the sand or bottom) is about 10 ‘. There are many areas of penetration on this wreck, on the sides and through the hull. Inside the wreck are many areas to explore so make sure you bring a light (and a back up) and a safety reel. About mid ship on the South Side, where the pipes now lay, you can swim approx. 100 feet due South and you will run into the Belzona II. To the South East of the Belzona II is the Belzona I and III. Not to be confused with the Belzona tugs, The Belzona Barge is a 215′ steel barge sunk August 1991. This is one of the shallowest wreck dives in Miami making it a perfect dive for novice divers. Due to it’s shallow location off Key Biscayne, this makes a great alternative dive when the current is too strong on the deeper dives. Visibility is often 60′ or more and she makes for great wide angle photos. The Belzona Two is located seventy-five feet due west of the Belzona One. She is a tug boat that all certified divers can visit. Hurricane Andrew did some damage to the pilot house of this vessel, but it is still a great wreck to visit. Escape to a tropical paradise. Tour and Snorkel the natural wonders of Biscayne National Park Marine Sanctuary including the Boca Chita lighthouse. Snorkel (Scuba Diving available on select trips) on living coral reefs which supports an incredible array of marine life including hundreds of species of colorful fish. See the ship wreck Mandalay. Boat captain is a Miami Native and tells you all the history and gives a great 4 hour tour. A light lunch and drinks are included. The Biscayne is located in the Key Biscayne Artificial Reef Site. She is a 120-foot frighter, that was once used for hauling bannanas from Central America. Now she lies in 55 feet of water. The Biscaynes’ bow and stern sections have collasped, but there is a breathtaking concentration of fish. Due to the amount of aquatic delight this wreck is an excellent location for a night dive. A 45′ steel tug sunk July 1999 in the Sunny Isles Reef Site. The Carmen lays just East of the C-One and there is re-bar staked in the ground leading to each other. The conception is also linked with re-bar and can be seen on the same dive. This is a great location for snorkelers to visit a wreck. The two-masted 3660-ton steel Schooner was built in Germany in 1908. She sank in her current location in 1930 after a storm broke her moorings. Hurricane Andrew actually improved the site by exposing more of the schooner’s wreckage. This is an underwater preserve so please take only pictures and leave only with the memories of your trip. Sunk as a promotion during the “Sinko de Mayo festival”, May 2000 right off the beach on second street in South Beach. The 10,000 pound concrete bar was built for Jose Cuervo and then donated to the Artificial Reef program. South Beach Divers in conjunction with many other local dive shops and operators formed a “water sports committee” to raise funds to sink wrecks and to generate more interest in diving in Miami. After the wreck was sunk, we had a “bartender” positioned in the bar who had 100 mini Tequila bottles with a raffle ticket inside each one that he gave to everyone who came to dive or snorkel on the wreck for one hour. We than drew numbers and gave away many prizes and services. Another success story in the history of Miami wreck Diving. The Lady Frei is a 90′ Sailing Schooner that was sunk in Dec 1986. The wreck has been destroyed to basically nothing left. The only thing that remains is it’s engine block. It is located on the northwest side of the Belcher Barge. In 1995, the Dade County Artificial Reef Program sunk a 110-foot Barge in the memory of Matthew Lawrence. Matthew Lawerence was a Miami diving enthusist. It was orginally named the Number 7 and was a salvage vessel. The Mathew Lawrence sits about 100′ from the tanks making it possible to see both wrecks on the one dive. The Neptune Memorial Reef project is the largest man made reef ever conceived and provides an extraordinary living resting place for the departed, an environmental and ecological masterpiece, a superb laboratory for marine biologists, students, researchers and ecologists, and an aesthetically exquisite, world-class destination for visitors from all walks of life. The most innovative concept in artificial reef design is currently emerging in 50-feet of water, 3.25 miles east of Key Biscayne, Miami. Wrapped in the silence of the clear blue ocean a new reef is evolving. The Neptune Memorial Reef is attracting recreational scuba divers, as well as homeless fish while enhancing the coastal environment and reducing demand on other fragile natural reefs. Take a look at the video of the reef that was just taken in November 2007, click here. Nineteen pyramids of steel and concrete, once the transmission system for Radio Mambi, make up the Radio Antenna site. The site provides habitat for juvenile fish and occasional barracuda. Also a part of the wreck trek, these pyramids attracts large schools of fish all day and night. Not a great spot for photographers but it makes an excellent dive for navigation training. Remember that if your compass seems to not function on a wreck dive, you are probably to close to the wreck and are interfering with Magnetic North. Swim away from the wreck and try navigating again. Still lost? Try taking our underwater navigator class for expert advise of finding your way around underwater. The tarpoon is a 165′ steel ship the was sunk in memory of Mike Kevorkian, a local diving pioneer. Hurricane Andrew busted the wreck up in to several peices against a reef. It is an excellent drift dive. The Conception, a 150′ Honduran steel freighter, was sunk in June, 1991. This wreck, which was severely damaged by hurricane Andrew and sits about 150′ north of the C-One. The cargo area has imploded and the stern broke loose after Hurricane Andrew. The stern is approx. 40′ north of the main section which has collapsed to a 10′ profile. The wreck is a part of the Suny Isles Reef Site whick is north of the Haulover Inlet and still attracts a wide variety of fish, especially early and late in the day. The Matthew Lawrence was placed in January, 1996 at 50 feet. A 120′ freighter lying east-west offers excellent penetration for novice wreck divers. With relief of approx. 30′, the wreck can, sometimes, be seen from the surface. As part of the Wreck Trek site, it will be tied into the other nearby wrecks with rebar stakes to guide divers from site to site. This wreck is about 200′ east of the Army Tanks dive site. Good place for training divers. Wreck Trek is an artificial reef area mapped out by local dive boat Captain Rick Smith of Undersea Miami. The site consists of the Miss Patricia, 85′ tug, sunk June, 1990, Miss Karlene, tug severely damaged by hurricane Andrew, 90′ away from the Patricia on a heading of 150 degrees, Ben’s Antenna reef, old radio towers, Billy’s Barge, 75′ steel barge, limestone boulders and more sites being connected. The depth is about 45′ to 60′. This area can be covered by an experienced diver in a big hurry, but is worth a few dives to see everything. This is one of our most popular destinations, not only for training new divers,but because it offers a moderate, relaxed dive for intermediate divers. Miami is known as the “Wreckreational Dive Capital of the World”. There are over 12 local wrecks that lay in 45′ to 60′ of water and over 80 wrecks in total sunk in the Miami area and many more are slated to come over the next few years. As the port of Miami is one of the busiest sea port in the world there are many opportunities to acquire new boats to sink. Customs can seize vessels that were used to smuggle drugs and with the owners in jail and the ship quickly racking up dock fees, sometimes selling the boat for scrap is the only alternative. Some boats arrive in here barely seaworthy and find their final resting place here in Miami. DERM, the Dade County Environmental Resource Management division then negotiate with the owners (or customs) to take the boats, environmentally clean them and prepare them to be sunk off the shore of Miami for the intended use of sport diving and fishing. The first boat to be sunk as a part of the artificial reef program was the Orion, a steel tug sunk off Key Biscayne in 1981. Since then freighters, barges, yachts, tugs, a water tower, oil platforms, army tanks and even a 727 has been sunk(which has since fallen apart). Typical aquatic life found in Miami are Eels, Grouper, schools of Snapper, Jewfish (or the new politically correct Goliath Grouper), Stingrays, Nurse sharks (harmless), Tarpon, Snook, Cobia, Octopus and a wide variety of tropical fish. The Pipes is a series of 6′ concrete pipes that are piled on top of each other. Since the pipes have been underwater since 1990 there is an abundance aquatic delight. This site features nurse sharks, moray eels, huge lobsters, and at night octopus and squid. This is one night dive that you do not want to miss! The Arida is 165′ steel hull ship sunk in June 1982. It currently lies on its starboard side and the port side has collasped inward in three different sections. This is a good advanced dive but since it was sunk on its side it is not dove on very often. This wreck was just sunk and this will be the first time we have dove on it. More details to follow. The Belzona One, is one of three tug boats sunk in May 1990. She is sunk sitting upright in a sandy area so string rays are very common on this particular site. The Belzona Three is a 100-ft. tug located appox. 75 feet west of the Belzona Two. This tug completes the Belzona Trio but due to its depth it is an advanced dive. The latest addition to Miami’s wreck collection. Sunk in October 2003 after the DEMA dive trade show. Somewhere hiding on this wreck is a key that opens a case here in the shop with a underwater camera inside valued at $349.00. Come dive this wreck with us and see if you can find it. Sunk in July 1987, this 100′ steel frieghter sits in 64′ off of Key Biscayne. Many storms have reduced this wreck to a low profile and is consequently infrequently dove on. The Orion was the first wreck sunk as a part of the artificial reef program in 1981. This steel hulled tug boat had her entire wheelhouse ripped off during Hurrican Andrew and it now lays 50ft beside her. Located just 3 miles off Key Biscayne, The Orion is one of the best dive sites in Miami. Huge schools of fish are always found around The Orion as well as much coral and sponge growth. The west side of the deck has a large patch of gorgonias which make excellent photos for close up photography. Make sure you bring a flashlight to really enjoy the most from this dive. 120 foot Freight sunk 1989 teeming with aquatic life. The Proteus, a 220 foot steel hulled freighter, sits silently in the Key Biscayne reef site. With 18 feet of relief, the ship provides shelter for a variety of fish and a fascinating background for underwater photographers. With her relatively shallow depth, The Proteus is a great second dive. As this wreck has been down since 1985, there is lots of growth that makes for great close up photograpy. Look off the wreck from time to time, large fish are often seen in this area. The Rio Miami is 105 foot tug. She sits upright 67′ beneath the surface. Schurgar’s and Harry’s Barge are 90 feet long and form a ‘T’ underwater. The wrecks lie 150′ east of Belcher Barge. This is another great dive to do when you are visiting the Belcher. Sunk in June 1987 just 3 miles off Key Biscayne, the Sheri-Lyn has been a favorite dive for locals and tourists alike for many years. You are guaranteed hundreds of fish from barracuda to Jewfish to an army of arrow crabs and a wide variety of invetabrates and small critters. The 230′ steel freighter is in two sections and has a relief of 15′ to 20′. With so much to see, this is a great dive to do with Nitrox to extend your bottom time. For photographers, it is a hard choice between macro and wide angle. If you camera lets you do both then your in for some good shots. There is often a slight current on this wreck which keeps the visiblity good, even with a lot of divers on the wreck. Always dive with a knife on wrecks in case of entanglement. A steel hulled frieghter sunk in Feb 1983 off the coast of Key Biscayne. This 134′ ship has seen it’s fair share of storms and is now broken up into many pieces. She is located off of Key Biscayne. This much publicised wreck was sunk in 82′ off of Key Biscayne in September 1993. There were school projects attached to the top of the fuselage and the entire inside of the plane was stripped out making it a good penetration dive. Unfortunately, the aircraft was made of aluminum and did not stand up to the forces of mother nature. From time to time we here of sightings of pieces of the plane but not enough interest to plan dives to it. The St. Anne D’Auray is a 110′ steel ship that was sunk as an artifical reef projct put together by RJ Ventures. She is a russian frighter that was turned by Hurricane Andrew. There are a few resident Goliath grouper on the wreck. The C-One is a 101′ US Navy steel tug boat was placed at its present site in November, 1990. The vessel is intact with limited penetration and sits in approx. 70′ of water. 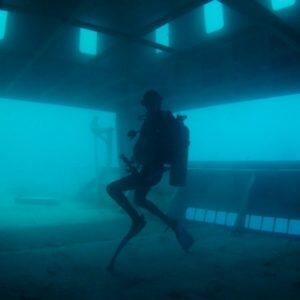 The wreck lists 45 degrees, giving a spooky dive experience. The C-One sits near a 165′ freighter called The Conception and just 60′ to the east lays the Russian trawler known as The White Ghost. The is a hole under the mid ship that has been made from ocean currents and at the bottom you can reach 82′. The C-One is also a part of the Suny Isles Reef Site and makes a great dive for novice or advanced divers. A one-time drug-smuggling ship is now South Florida’s newest artificial reef. U.S. Customs seized the 165-foot Princess Britney during Operation River Walk when they say they found 156 kilograms of cocaine hidden underneath the deck of the engine room. The Princess Britney was sunk around 3.5 miles off the coast of Key Biscayne. The ship came to rest on a sandy bottom about 90 feet below the surface. Miami is known as the “Wreckreational Dive Capital of the World”. There are over 40 local wrecks that lay in 60′ to 130′ of water and over 80 wrecks in total sunk in the Miami area and many more are slated to come over the next few years. These wrecks are limited to divers that hold Advanced cards or above and we recommend using Nitrox. Open Water Divers are welcome one some of these dives as long as you hire an instructor to guide you. As the port of Miami is one of the busiest sea port in the world there are many opportunities to acquire new boats to sink. Customs can seize vessels that were used to smuggle drugs and with the owners in jail and the ship quickly racking up dock fees, sometimes selling the boat for scrap is the only alternative. Some boats arrive in here barely seaworthy and find their final resting place here in Miami. DERM, the Dade County Environmental Resource Management division then negotiate with the owners (or customs) to take the boats, environmentally clean them and prepare them to be sunk off the shore of Miami for the intended use of sport diving and fishing. The first boat to be sunk as a part of the artificial reef program was the Orion, a steel tug sunk off Key Biscayne in 1981. Since then freighters, barges, yachts, tugs, a water tower, oil platforms, army tanks and even a 727 has been sunk(which has since fallen apart). Typical aquatic life found in Miami are Eels, Grouper, schools of Snapper, Jewfish (or the new politically correct Goliath Grouper), Stingrays, Nurse sharks (harmless), Tarpon, Snook, Cobia, Octopus and a wide variety of tropical fish. The Almirante is a 200 foot steel ship sunk in April 1975. This wreck was concidered the ‘Queen of Miami’. It was sunk by the Dade Sports Commission off of Elliott Key. In 1992, the keel was twisted badly by Hurricane Andrew but it is still an excellent dive. Since it has been underwater for over 30 years the amount of growth and aquatic life is breathtaking. One of the most Southern Wrecks we dive from Miami, The Blue fire was sunk Jan 1983. She is 175′ and full of life. Having been underwater for over 20 years, there is incredible life on this wreck. Photographers can expect many large fish including Jacks, snapper, Jewfish, cobia and barracuda for great shots and macro photographers will go crazy with the thousands of critters that have made the Blue Fire their home. Nitrox divers can enjoy bottom times of up to 29 minutes on this dive. The Brandy Wine is 135′ frighter seized by US Customs and was sunk in July of 2001. Due to its depth and size it isn’t a dive that is frequently dove. The Deep Freeze is one of our most popular advanced dives. The 210′ freighter lies in 135′ of water. Fairly strong current is the norm here. Relief of about 25′. As one of Miami’s oldest wrecks, she was sunk in October, 1976. Excellent penetration for experienced wreck divers. Popular spot for local spear fishermen. Slight damage from hurricane Andrew. An awesome wreck dive! The Doc de Milly is 287′ in length with a 50′ relief. This wreck has many resident fish due to the fact that she is not frequently dove due to her distance from Miami. 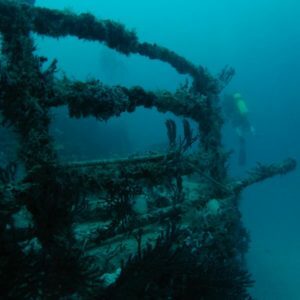 We dive this wreck on special occasions and sometimes on long weekends we will do an all day trip starting at The Doc’. This is an advanced dive and requires previous deep diving experience. Every time I dive this wreck I wish I had 10 cameras, or a roll of 200 shots. Need I say more? 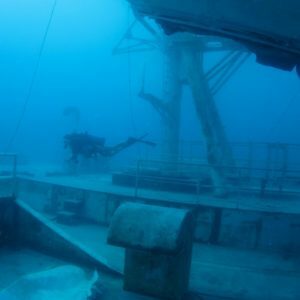 The Etoile de Mer is 80′ frighter seized by US Customs and sunk in July 2001. Due to its depth and size it isn’t a dive that is frequently dove. Great Miami Wreck sitting in 155 feet of water. Located just South East of the Orion, The Lakeland was sunk June 1982. She is a 200′ steel freighter with a 25′ relief. Her depth puts her just beyond the sport diving limits but she is a great wreck to get into technical diving. The last time I dove this wreck there were large Jewfish, a huge green moray eel and lots a large schools of tarpon, a schoolmaster snapper. The Miguana is a 100′ Frighter Seized by US Customs and sunk in July 2001. Due to its depth and size it isn’t a dive that is frequently dove. Sooooooo deep I can’t remember much about this one. Stay tuned. The Narwal is a 137′ steel freighter was sunk in 126′ of water in April, 1986. Hurricane Andrew broke the vessel in half and moved it to water 10′ deeper than it originally was. This is where we usually end up when we can’t get on the Andro as it’s pretty close by. An excellent dive, can be affected by strong current as are most wrecks at the 100′ depth line in this area. The Ultra Freeze ia a steeled hulled, 195′ freighter with 45 feet of superstructure still attached. The Ultrafreeze in located in the RJ Diving Ventures Site just a few miles off the shore of Miami Beach. Due to her depth, this is for divers holding advanced certification or higher. On most days you will see amberjack, barracuda, jacks, tarpon, snook and dozens of varieties of tropical fish. The South Beach Water Tower is a 320 ton Art Deco era water tower, mounted on a hopper barge and ballasted with 500 tons of concrete and limestone can be found east of the Westin Resort in an area known for larger ships and deeper diving. It was placed June 27th, 1997. It is considered an entry level dive for technical deep air divers. The tower fell over on its side east of the barge. The top of the barge is at 153′ and you will reach the tower at 143′. Reports are that these are dangerous dive sites. Recreational divers are urged to avoid these wrecks. Technical divers should exercise extreme caution. The Tacoma was sunk in Feb 2002 and is a 165′ Steel Freighter with a 20 relief. The wreck is in excellent condition and is fully in tact. As this wreck is not ferquented by local dive operators, there is a great chance you will see big game fish on this wreck. The two deep water sections lie in 190 feet of water and rise to 80 feet. When Hurricane Andrew stuck in August, 1992, it caused the two deep towers to list at close to a 45-degree angle. Sunk July 1982 and sporting a 32′ relief, this wreck is loaded with big fish and excitement. Her depth makes this a technical dive and we only do this with private technical diver groups. Known locally as Tenneco Towers. Placed at their current location in October, 1985. Tenneco Towers is considered the northernmost dive site for dive operators located in Miami and the most popular dive site on the Southeast coast. The oil rigs were originally used in the Gulf of Mexico for oil and gas exploration. Tenneco Oil Co. (at their own expense) brought the towers by barge around the Florida Keys and placed them at their present site. The area consists of 3 sites: West Tenneco at 110′ depth, relief of approx. 35′, Middle Tenneco at 120′ depth, approx. 35′ of relief and Deep Tenneco at a depth of 190′ and 185′, 2 towers separated east to west 100′ with approx. 60′ of relief. The towers are home to several hundred species of fish as well as corals and numerous large fish. The platforms are covered with orange cup coral and are frequented by bull sharks, barracuda and amberjack. The Andro, a 165′ vessel, was originally built as a luxury yacht in 1910. Sunk in 105′ of water in December, 1985. Hurricane Andrew ripped it into a few pieces making it much more interesting, but, at the same time, extremely dangerous. A popular place for local fishermen makes it hard, sometimes, to get divers on the site. The Tortuga was sunk in April, 1995 for the movie Fair Game. The movie sank a few months later. The 165′ freighter sits in 117′ of water, you can hit the deck at about 90′. Used in the final scene of the movie where it blows up is the actual sinking supervised by DERM. This vessel is the absolute best penetration wreck we have. Lots of fun for the trained and certified wreck diver, it offers a great training ground for wreck diving instructors. Tons of new growth. Very popular deep dive for everyone.